These guys change their selection daily so every trip can be different. Imagine black rice and rose petal, or avocado, white wine and lime, or their best seller basil, walnuts and honey. Dairy free options (yay) as well as sugar free options are available, AND... wait for it... gluten free cones! Everyone wins here! We actually had affogato from here which was incredible. B got salted caramel with hot espresso poured on top, and I got my usual, cioccolato extra noir (dairy free dark chocolate). 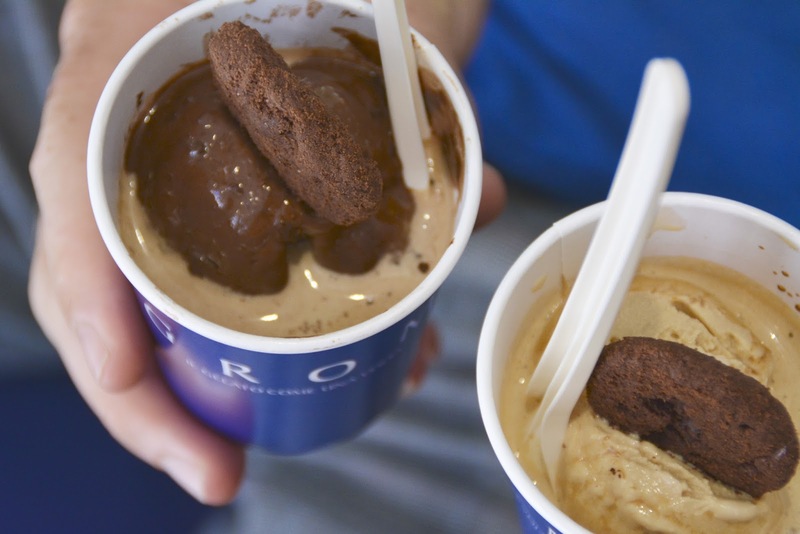 Unlike affogato back home where it's typically one small scoop of ice cream, here you'll get 2 large scoops in a take away coffee cup, with espresso poured on top, and it's only 3.50 euros generally (2.50 euro gelato + 1.00 euro espresso). Grab a small 30c cookie on top for an extra treat! There's a large sign on the wall so you know what ingredients are in all their gelatos, sorbets, frappes and ices which is great if you need dairy free, or gluten free. And added bonus that their cups, spoons and packaging are all recyclable. 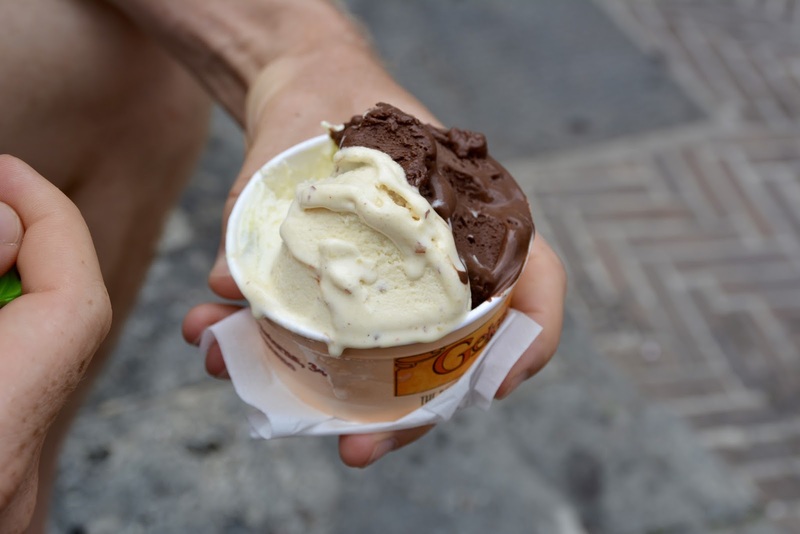 If you want certified organic and fair trade gelato, this is your spot. With most ingredients sourced locally, this is where sorbets are the stand out - only fresh, seasonal fruit is used. If you want to see gelato being made by hand, then stand outside the window of this place and see the milk churn, the enormous blocks of chocolate on the bench, and the almonds being thrown into the mix. With lemons from the Amalfi Coast and almonds from Sicily, you need to take a numbered-ticket just to order here it can get that busy. But with flavours like dark chocolate + red wine, sage + raspberry or lavender + white peach amongst all the usual favourites, you don't wanna skip this place. Established in 1900 and still a family run business to this day, Giolitti is arguably Rome's best-known gelateria. There is always a queue and always a buzz outside as this place isn't the typical little walk-in and out ice cream place. It's a very large sit-in cafe that also has an extensive range of cakes, pastries, sweets and chocolates. Go all out and get a gelato sundae to eat there. You won't need lunch. 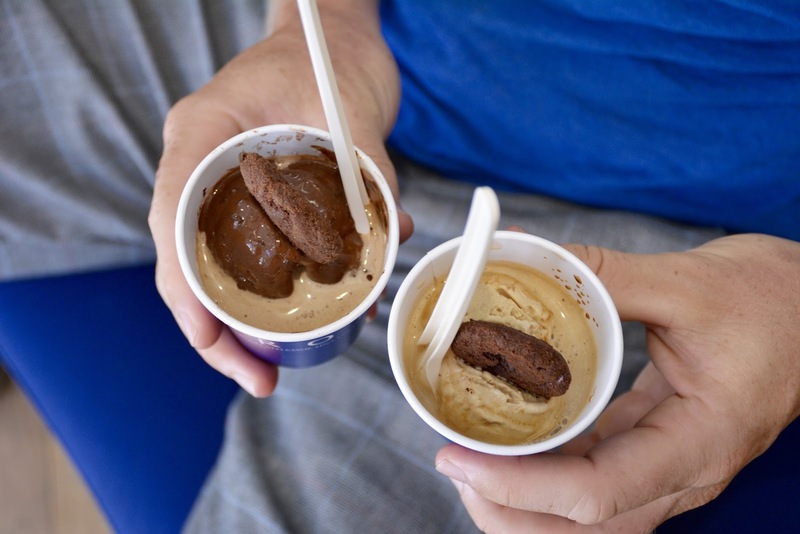 We initially wanted to have affogato here, but I either misunderstood the woman taking my order (even though she was speaking plain English), or they could possibly have the worlds best affogato, because when I asked for two, she said to me with a semi-serious tone in her voice, "they are 8 euros each". Safe to say, we skipped it here. So there you go. Enough to have you looking at a trip to Italy sometime soon? I can only hope so. 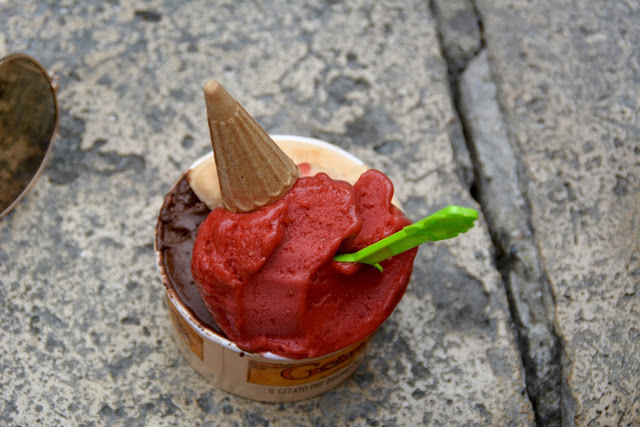 If you are yet to try REAL Italian gelato, you are simply missing out on one of life's greatest pleasures!